In your quest to find a durable pipe repair method, you may have come across some common epoxy pipe lining reviews that have discouraged you from the process. Here are the four most common epoxy pipe lining reviews we have come across, why they happen and then an explanation of how Nu Flow Midwest in Chicago addresses these reviews through our attention to detail during the coating process. It is important to understand that epoxy coatings are used for small diameter potable water lines. They are designed to seal pinhole leaks and prevent future corrosion that could lead to more leaks and water damage. When you hear a traditional plumber complain that an epoxy pipe coating does not coat evenly, he’s probably worked behind a pipe lining company that did not adhere to the proper setup or installation procedures for installing the coating. The process for installing an epoxy pipe coating inside a potable water pipe involves completing a thorough installation camera inspection. Since epoxy coatings only seal and smooth the inside surface of the pipe, the host pipe must still be structurally sound and able to carry the appropriate water pressure. If the pipe is determined to be structurally sound, it is first cleaned to remove all of the corrosion. Then, the pipe is heated to a predetermined optimal temperature to ensure the epoxy coating evenly spreads through the pipe and coats the entire diameter. Once the coating has cured, a second camera inspection is used to ensure the pipe has been evenly coated. BPA is bisphenol-A, and it can be found in the lining of most canned goods and in some plastics. Research has shown that BPA can leach into foods and drinks, especially if they are microwaved inside the BPA containing plastic container. While some epoxy liners may contain BPA, you can rest assured that Nu Flow’s epoxy coatings and liners have undergone more than 7,000 hours of testing. They are approved for hot and cold water lines, and every epoxy mixture that NuFlow uses complies with IAMPO Guide Criteria 189, ASTM and ASCE. Our linings and coatings are also compliant with IPC and UPC. A regular plumber who is not experienced with epoxy lined pipes may not want to perform maintenance on those pipes, and to ensure you always receive timely and experienced pipe repairs, you should choose a plumber that has the correct experience and knowledge. For unlined pipes, a regular plumber can perform those repairs, and a regular plumber can hydrojet your lined drains and sewer lines if they feel comfortable performing the job. Here at NuFlow, we can perform epoxy lining repairs and line your pipes, and if you need the services of a traditional plumber, we have a close relationship with Althoff Industries licensed plumbers. 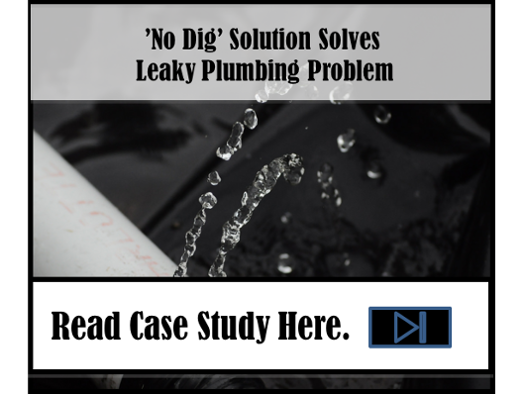 This allows us to create custom solutions for all your plumbing repair needs. Chloramine and chlorine are used to disinfect municipal water supplies in order to kill viruses and bacteria. According to the EPA, chloramine, which is a combination of chlorine and ammonia, has been used to disinfect drinking water since the 1930s because it does not dissipate as easily as chlorine and stays in the municipal water system much longer than chlorine. 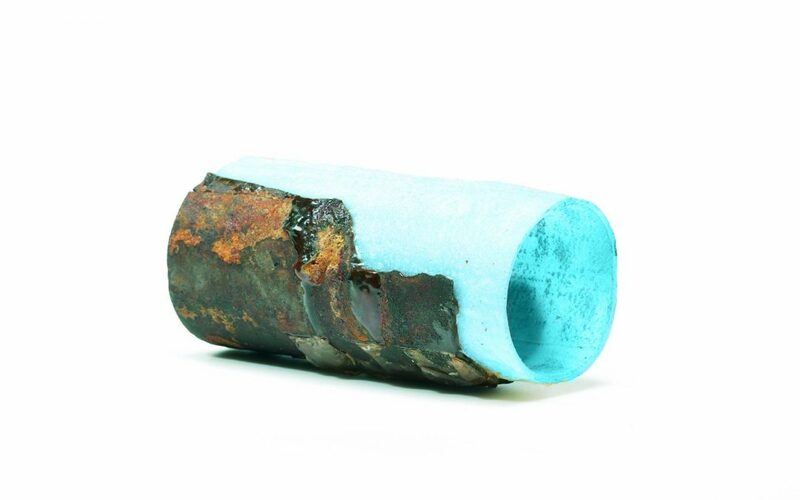 The chemical more likely to affect your metal plumbing pipes than an epoxy coating. High levels of chloramine can accelerate the corrosion of metal plumbing pipes, leading to lead leeching into your drinking water. Epoxy coatings and liners prevent lead and chemical leaching from metal and plastic plumbing pipes by preventing the municipal water supply from coming into contact with the host pipe. While you may be concerned about damage to your new epoxy pipe coatings and liners due to the additives poured into the water at your local water treatment plant, you can rest assured that your liners will perform as expected when you choose Nu Flow. We warranty our epoxy liners and coatings for 10 years, and the coatings and liners are designed to last at least 35 years, which is very similar to the expected useful life of a new plumbing pipe. To learn more about epoxy pipe liners and coatings and to get your epoxy pipe lining review questions answered, call us at 815-790-9000.